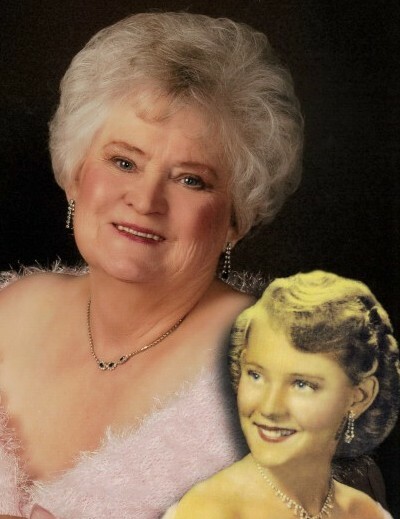 Juanita Marie Frank, age 79 passed away Wednesday, January 30, 2019. She was born to Enoch LeRoy Brown and Marrian N. Kelley Brown in Tooele, Utah, where Marie was raised and lived the majority of her life. Marie married John D. Perkins on April 26, 1957. Together they had four children, Martha, John, Linda, and Mark. As a military wife to John, she traveled to and lived in Florida, California, and Japan. This marriage ended in divorce. Marie next married Edward A. Harris on July 6, 1968, together they had two children, David and Janet. This marriage too ended in divorce, after which Marie remained single and worked to raise her six children. Many years later she met the love of her life, Dale J. Frank Jr. and the were married on June 3, 1991. Marie retired from Tooele County where she worked on the custodial crew. She loved the gospel of Jesus Christ and was a member of The Church of Jesus Christ of Latter-day Saints. Before her illness, she enjoyed sewing, crafting, cake decorating, reading, writing poetry and debates on political issues. Juanita Marie is survived by her brother and sisters all of Tooele: Robert L. Brown, Viola Mae Spires, Iola Fae Fultz, M. Ralph (Sherri) Brown, and Evelyn J. Gray, and her children: Martha (Dee) Leo, John (Bonnie) Perkins, Linda Bergeron, Mark (Debra) Perkins, David (Marsha) Harris and Janet (Al) Fowler, and many grandchildren and great-grandchildren. She was preceded in death by her beloved parents, her husband, her brothers Melvin and George and her grandson, Jason Swann. Funeral services will be held on Saturday, February 9, 2019 at the Tooele 4th Ward Chapel, 192 West 200 South, Tooele, Utah at 11:00 a.m., with a viewing Friday evening from 6 to 8 p.m. at Tate Mortuary 110 South Main Street, Tooele and Saturday morning from 10 to 11 a.m. at the church. Her family wishes to express their sincere gratitude to Brighton Hospice and to the staff of Summit Senior Living and Salt Lake Regional Hospital in Salt Lake City for their compassionate care and professional service during Marie’s last days.